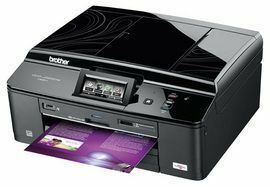 CNET UK has reviewed a multifunction from Brother that is targeted at those who does need a multifunction printer with fax capabilities. 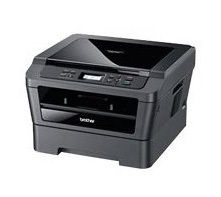 Brother claims that this monochrome printer, called Brother DCP-7070DW, is able to print up to 26 pages per minute. CNET UK ends up giving the DCP-7070DW an overall score of 3.5 stars out of 5 possible. On the positive side the reviewer finds aspects such as low running costs, good print quality for text prints, fast photocopying and it has pretty fast print speeds. There are some negative points including a bit high price tag and graphic prints are not the best. If you look at the price tag you can actually find printers from the competition with more features. Read the full review of the Brother DCP-7070DW multifunction monochrome printer here. Here is a review from Trusted Reviews that has tested an inkjet printer from Brother. The printer is called Brother DCP-J925DW and comes with nice features such as duplex printing and printing on CD’s and DVD’s. Trusted Reviews ends up giving the DCP-J925DW on overall score of 7 out of 10 possible points. The printer scores highest on features, a little lower on print speeds and value for your money, and lowest on print quality. On the positive side there are aspects such as touchcontrol scree, duplex printing and lots of good software. On the negative side there are issues such as the quality of black text printing could be better, the paper tray is poor and stripes in photo copies. If Brother had worked harder on the print quality this inkjet printer would have get a higher score. Read the full review of the Brother DCP-J925DW color inkjet printer here. 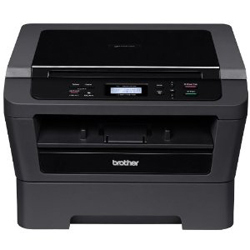 Trusted Reviews has tested a mono laser printer from Brother. The printer is called Brother HL-2250DN is able to print up to 26 pages per minute in monochrome, or so Brother claims. Trusted Reviews ends up giving the HL-2250DN an overall score of 8 out of 10 possible points. The laser printer scores highest on value for your money, a little lower on print speeds and print quality, while it scores lowest on features. 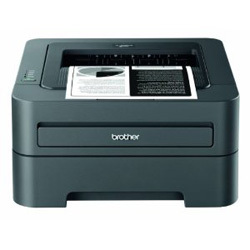 The Brother printer has a very compact design so if that is important this one might be your choice. The print quality is pretty good except for grayscale graphics and photos. Read the full review of the Brother HL-2250DN mono laser printer here.